Some notes on the family of Albert Charles Humphrey who lived at Leigh from about 1912 . Albert Charles Humphrey was born in Underriver in about 1881 and he married Anne Elizabeth Bishop at Tonbridge in 1905. 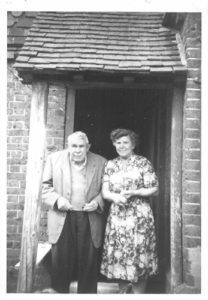 Their first four children were born at Hildenborough and in 1911 census they are living at Mount Pleasant in Hildenborough. The 1911 states that they had four children, all living. 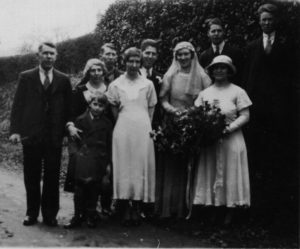 Further children were born after 1911 – their fifth child, Robert George, was born in 1912 at Leigh; their daughter, Doris Winifred was born in 1914 at Leigh. When they moved to Leigh the family lived at 2 Waterworks Cottages, in Kiln Lane. Albert Charles Humphrey was a member of the Leigh Fire Brigade. At one point he was also a Special Constable. Frank Humphrey (Albert Frank), his son, was at one point secretary of the Leigh Football Club and had been employed by Lord Hollanden. His other son, Robert George, also played for the Leigh Football Club. The postcard of the Leigh Fire Brigade of 1926 is taken in what would have been the garden at South View – showing behind it the door of 6 Forge Square, and stairs up to 7 Forge Square. 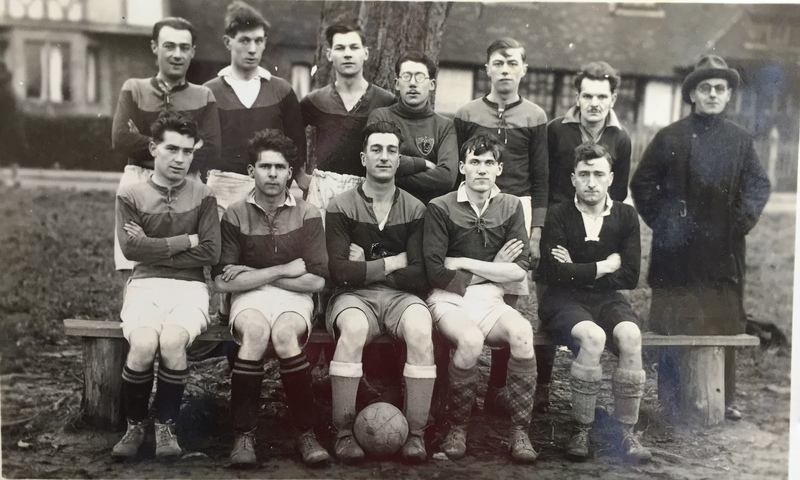 Hubert Russell is on the left at the front – he lived at South View. Another photo at Hall Place of the Leigh Fire Brigade in 1926 gives the name A. Humphrey – it is disputed between Jennie James and Gillian Wilson whether this is Albert Charles or his son, Albert Frank – however, on referring to Chris Rowley’s book “We Had Everything ..”, Bert Humphrey is named as being a member after WW1. Albert Charles Humphrey and his two daughters Elsie Ruth and Dorothy Mabel were members of the Golden Years Club. Wedding of Frank (Albert Frank) Humphrey and Nancy Levett 7 April 1934 in Buxted, Sussex. LtoR: Albert H, Annie H, Len H, Elsie H, Frank H, Nancy Levett, Doris H, Albert Woodhams (future husband of Elsie). At front is Eric Humphrey. 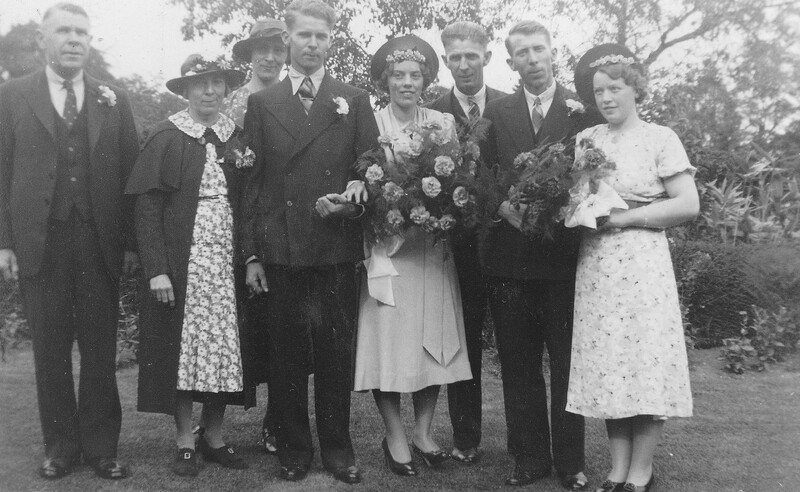 Wedding 20 August 1938 of Robert George Humphrey and Esther Fulton at Leigh: LtoR: Albert Charles H, Annie Elizabeth H, Nancy H (nee Levett), Robert George H, Esther Fulton, Frank H, Leonard H, Margaret Fulton. 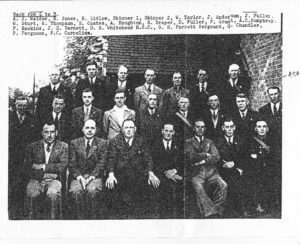 Leigh Special Constables – this picture also appears in Chris Rowley’s book “We Had Everything ..” which says that the man listed as H. Draper is Harry Lucas. The names read from top row left to right; middle row right to left; bottom row left to right: Chief Special Constable DE Whitehead is the large man with hands on knees at front. Bert Humphrey is middle row, second from right. 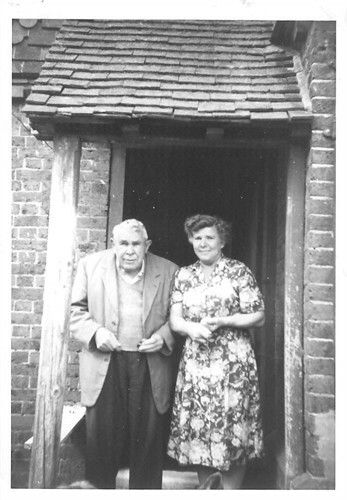 Mabel and her father, Bert, outside 2 Waterworks Cottage. 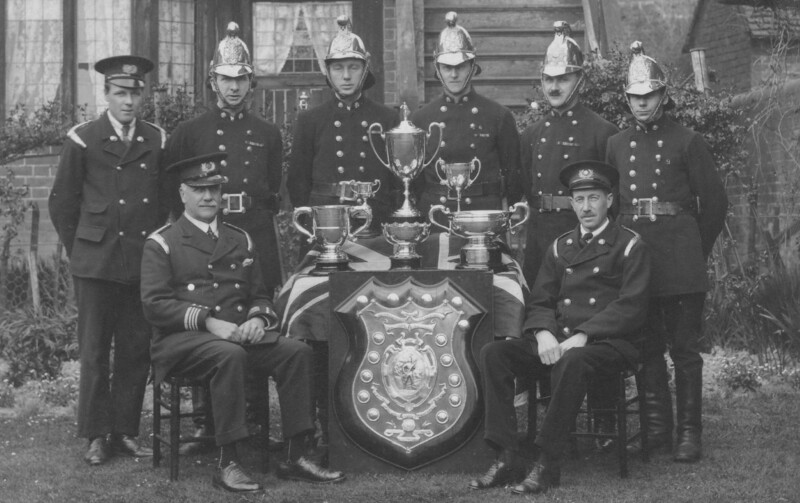 Leigh Fire Brigade 1926 of which Bert Humphrey was a member. 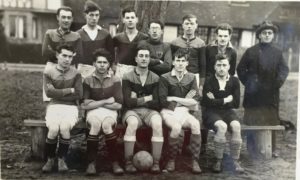 This picture is taken in the garden at South View (in front of 6/7 Forge Square) where Hubert Russell, Chief Officer lived. See also under Leigh Fire Brigade where Bert is named ‘A. 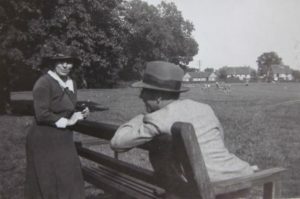 Humphrey’ in another photo of 1926 taken at Hall Place. Golden Years Group sent to the Society by Jennie James, descendant of Albert Charles Humphrey. 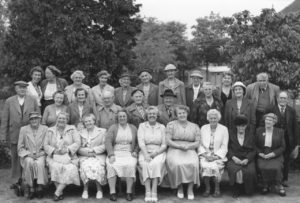 In the back row are 4th from left – Elsie Ruth Woodhams (nee Humphrey), 9th from left – Mabel Passmore (nee Humphrey), 10th from left – Albert Charles Humphrey. Joyce Field (October 2016) – from notes and photographs provided by Jennie James of New Zealand and Gillian Wilson of Australia.